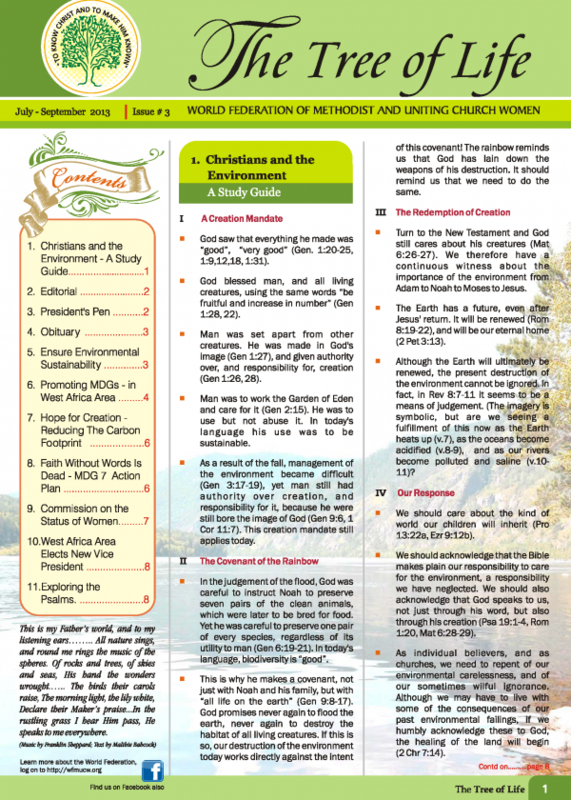 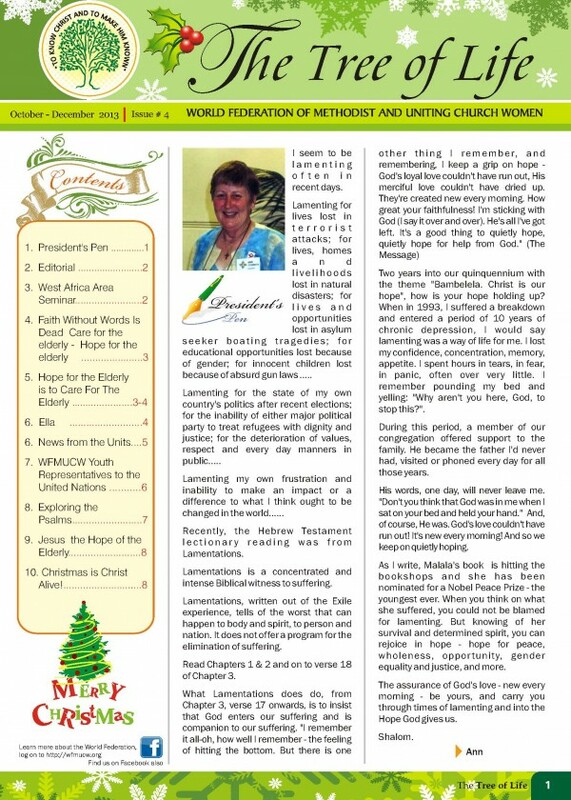 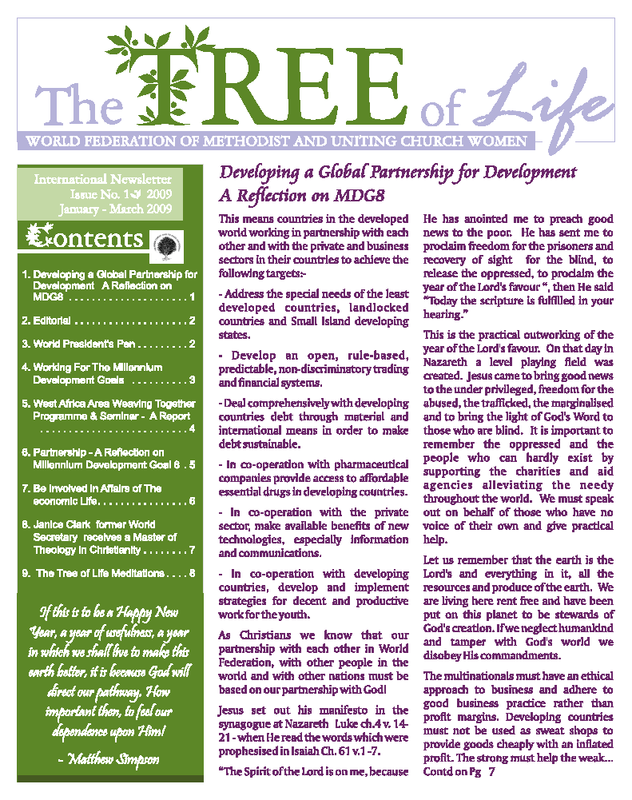 The Tree of Life is available for download in a portable document format (.pdf). 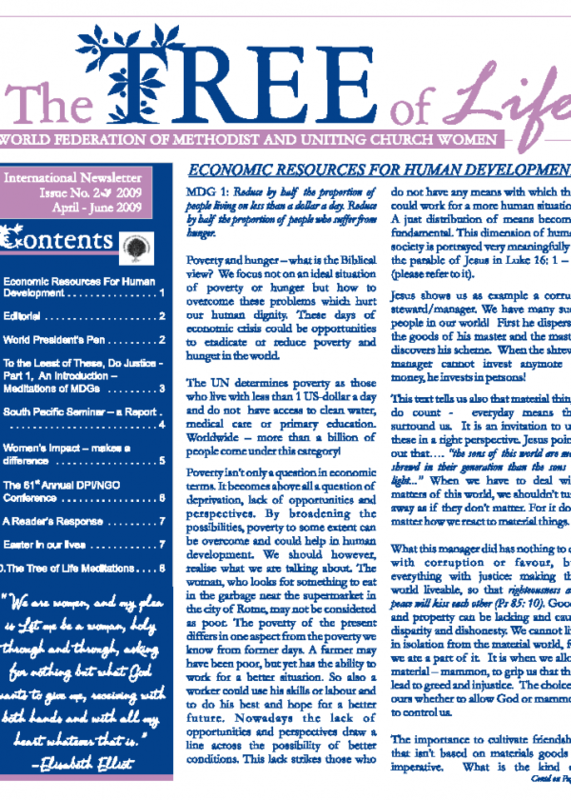 A free download of the Adobe Reader software is available from the Adobe Systems Incorporated website. 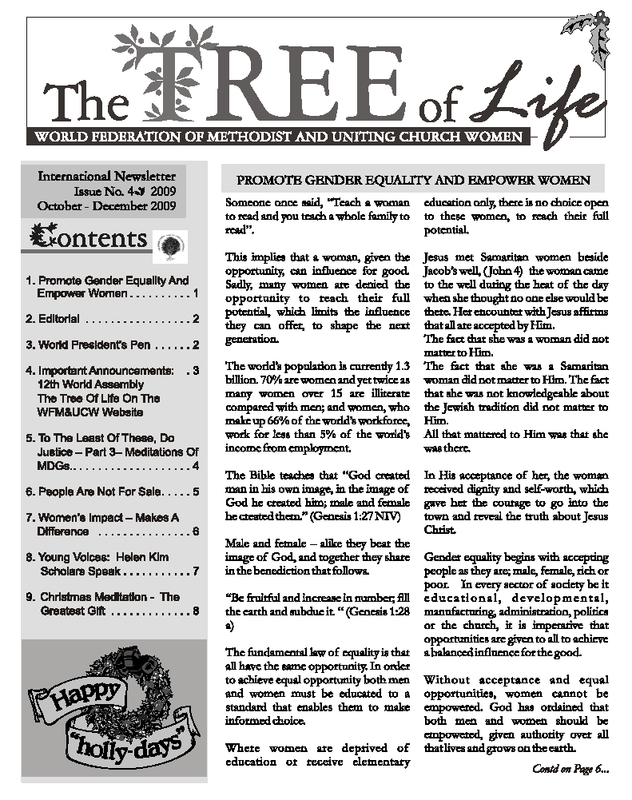 As there are no longer subscriptions to the Tree of Life, but there are production costs, these will be covered by an increase in annual membership fees for all Federation members from US4 cents to US10 cents. 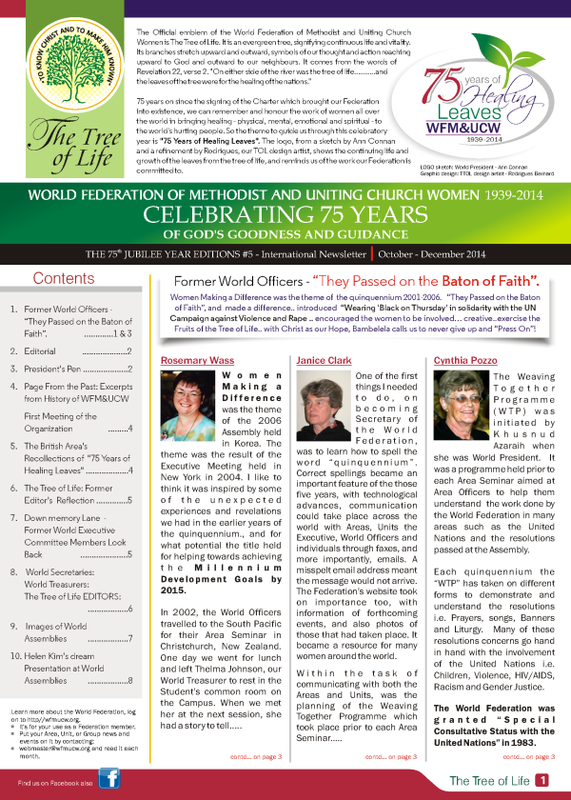 Each Unit is to provide their Area President with an email address for the Tree of Life to be sent to. 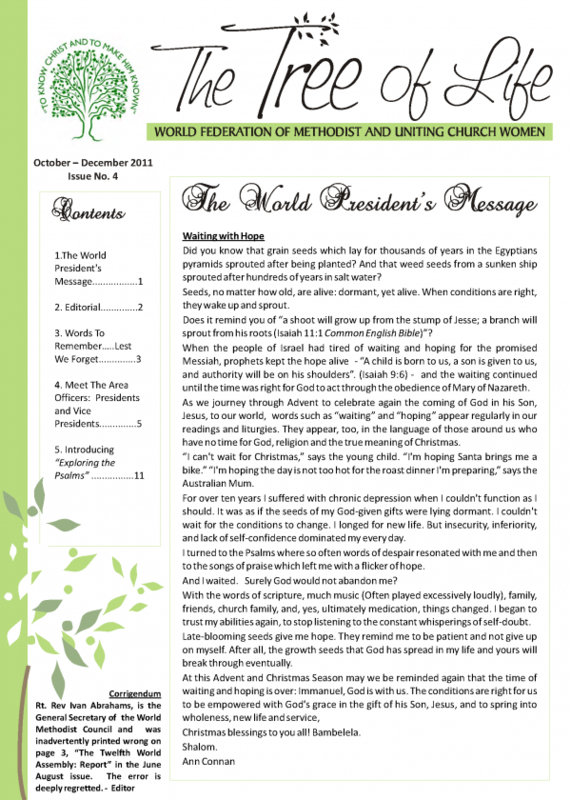 Unit Presidents should have an email address for a member of each group who can receive the TOL online for that group. 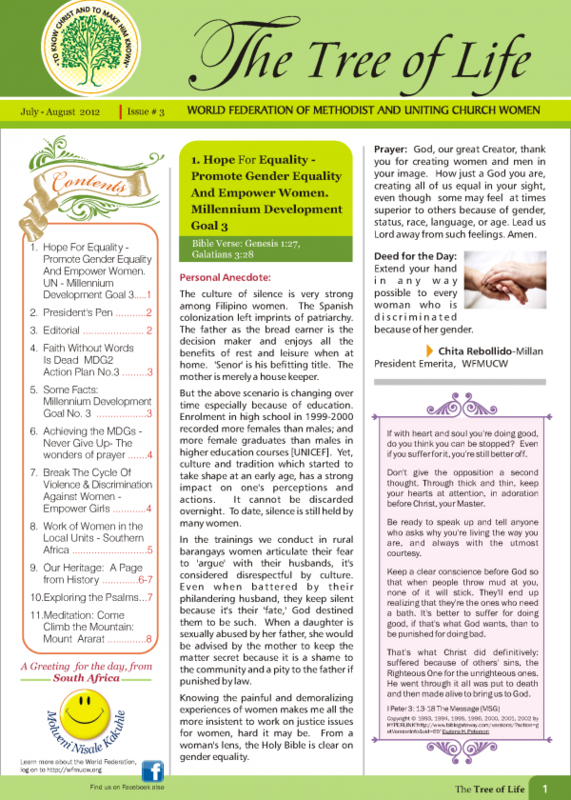 Hard copies of the TOL can be produced for those groups who cannot access email. 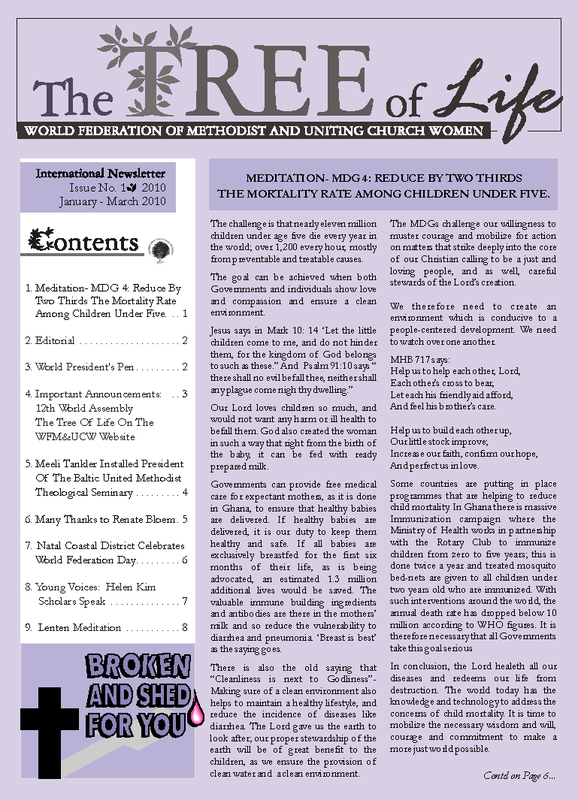 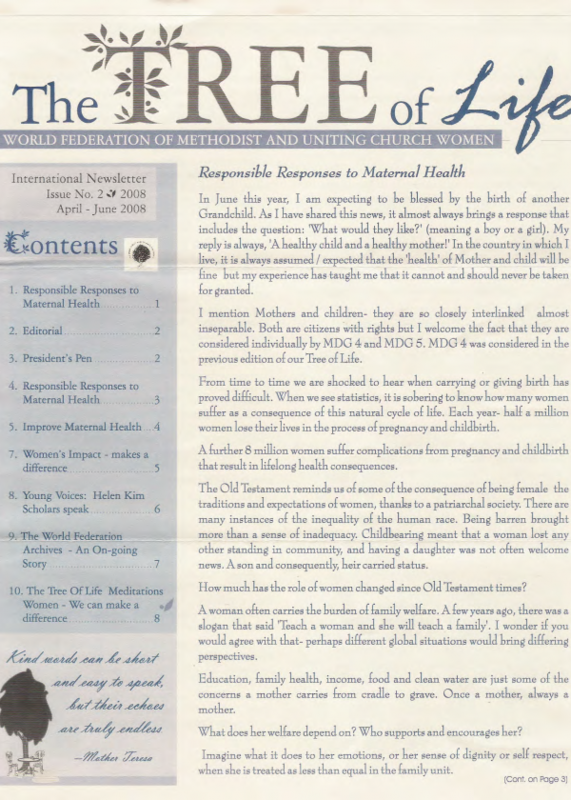 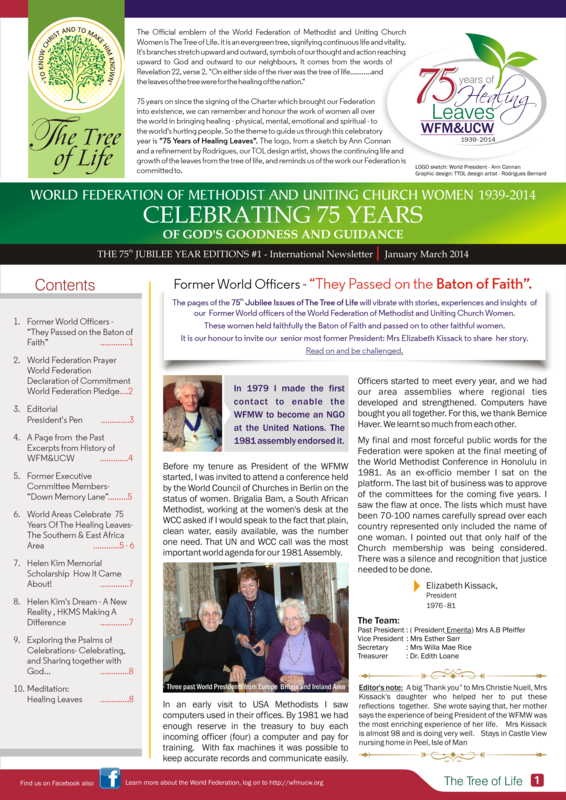 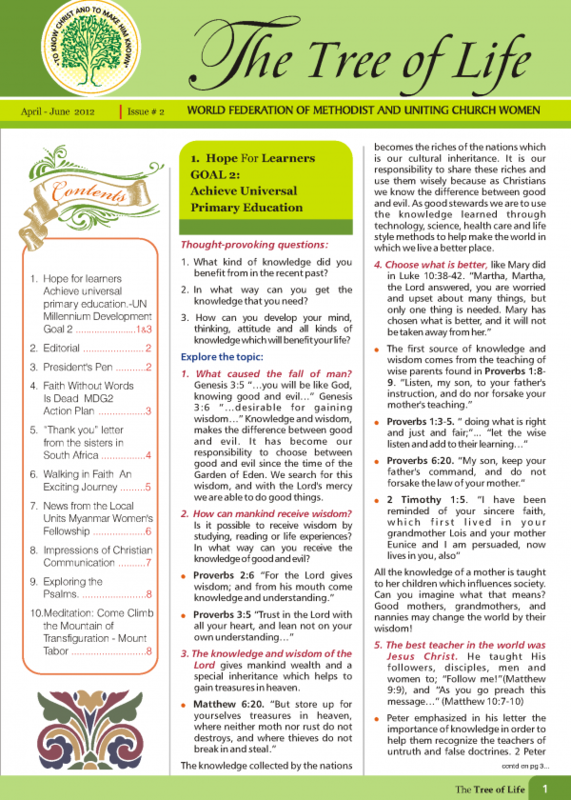 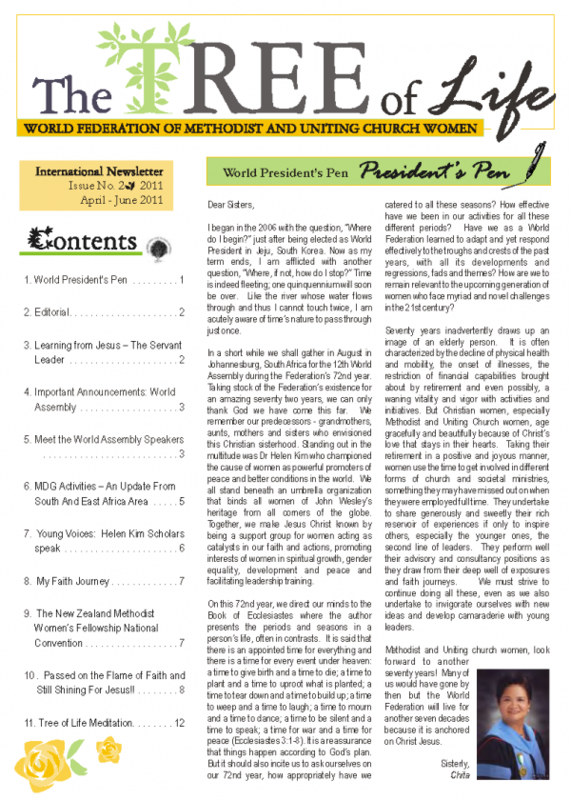 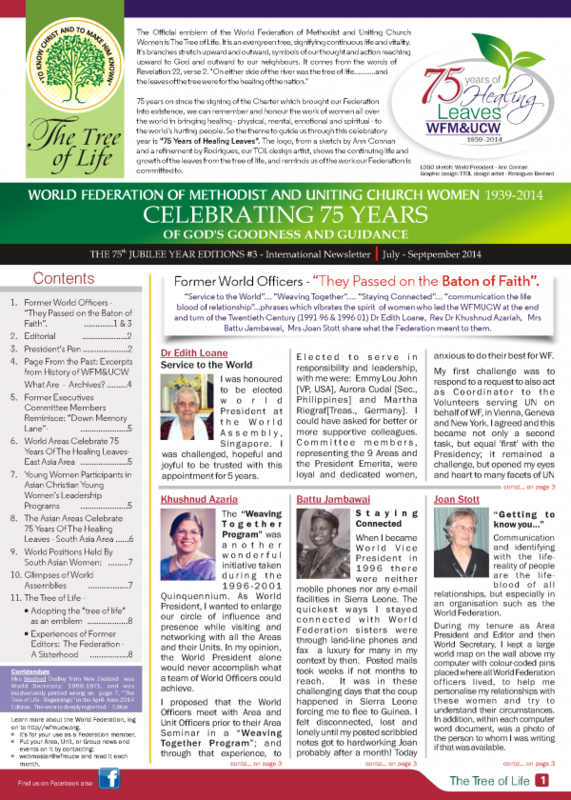 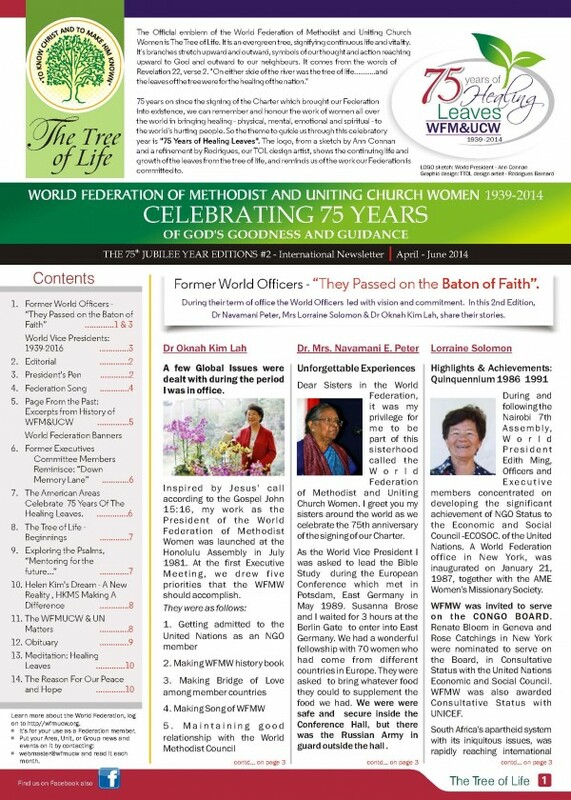 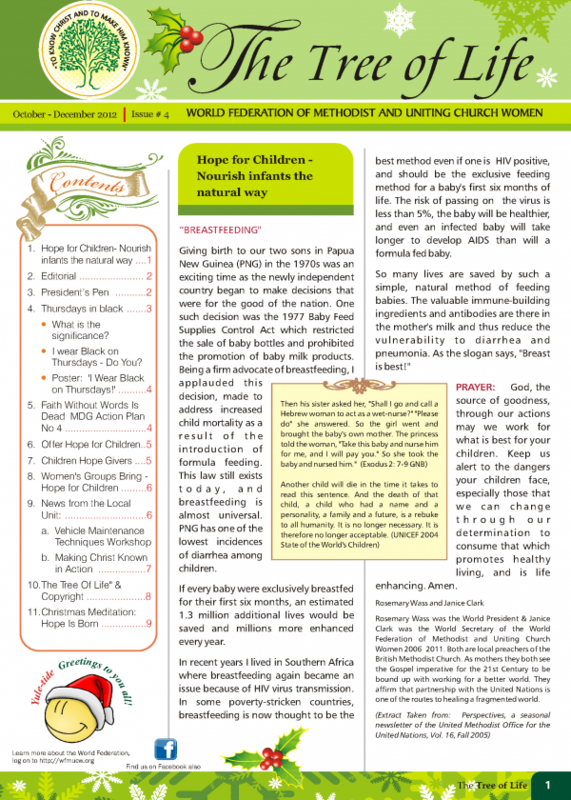 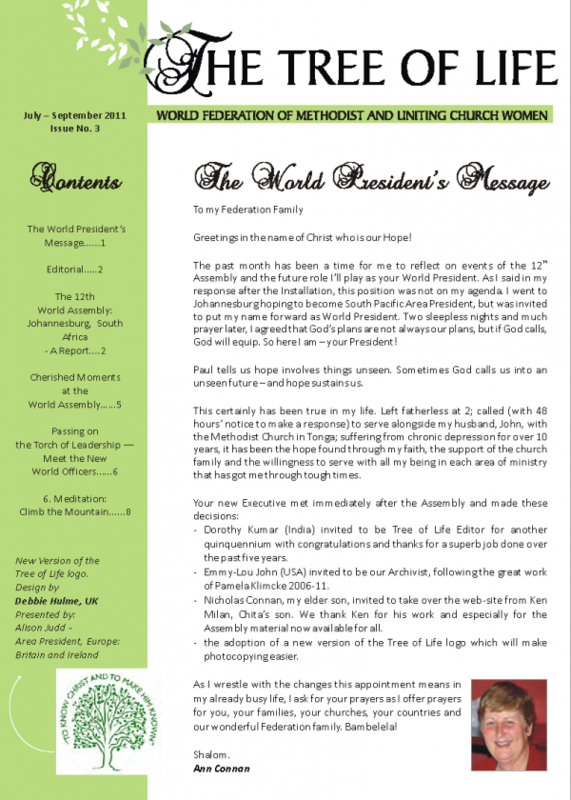 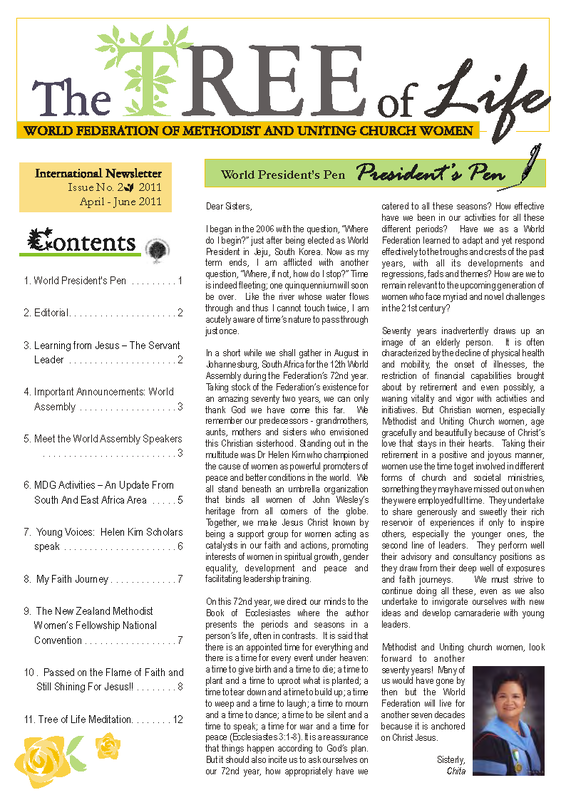 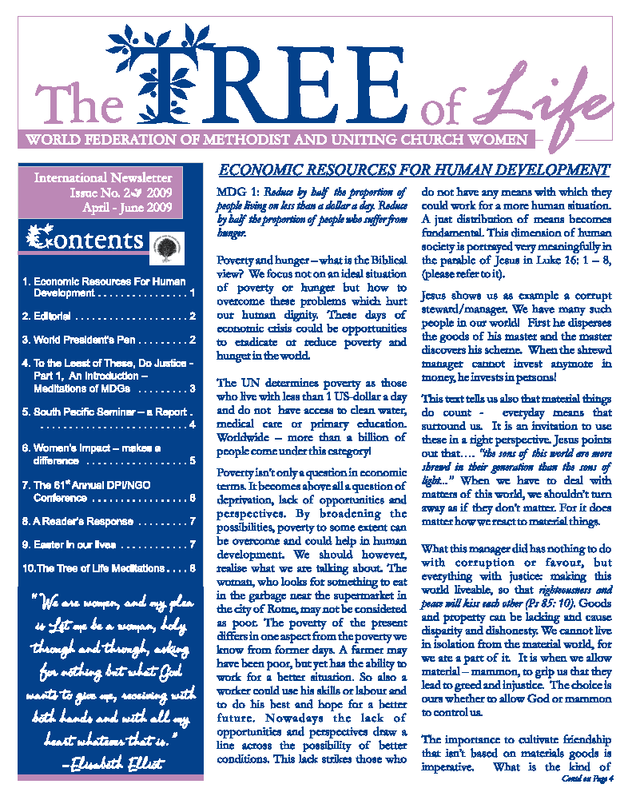 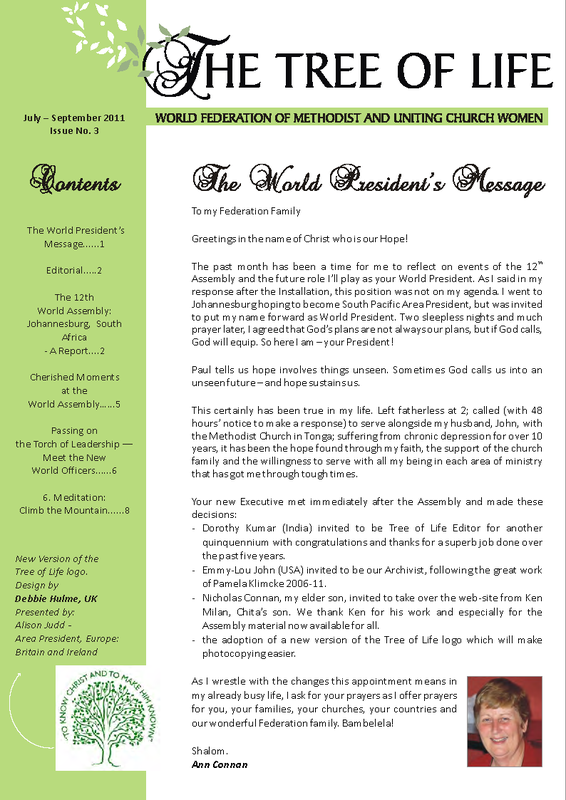 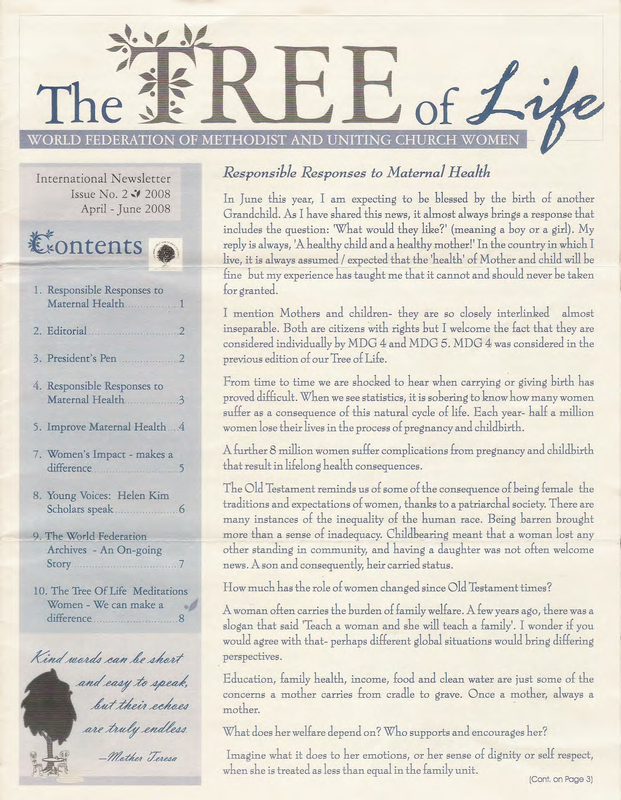 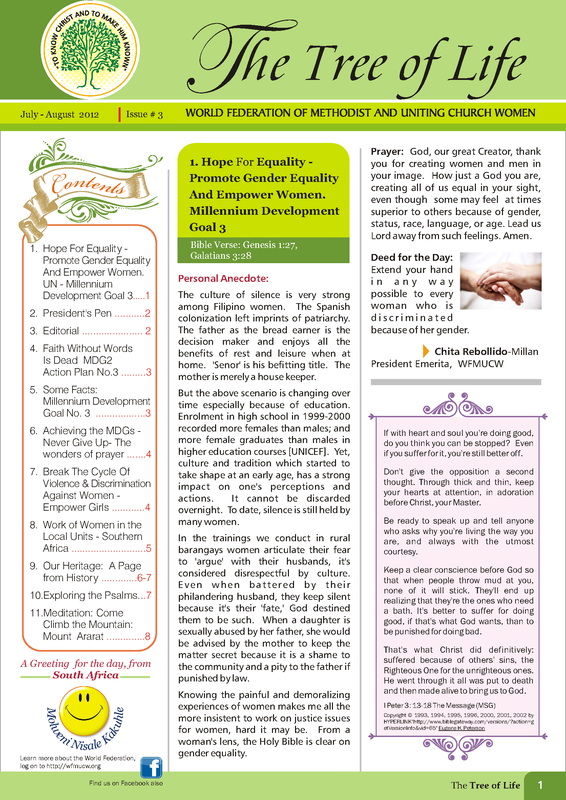 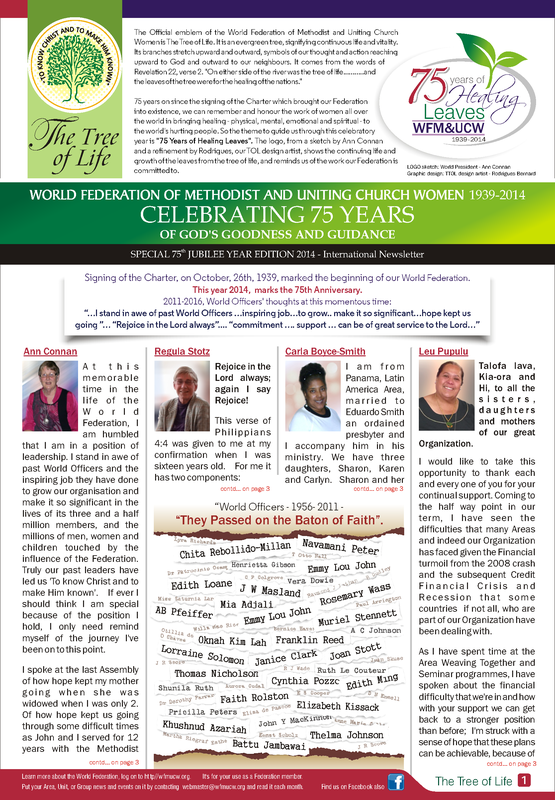 Deadlines for Tree of Life articles are the 10th of March, June, September and December each year. 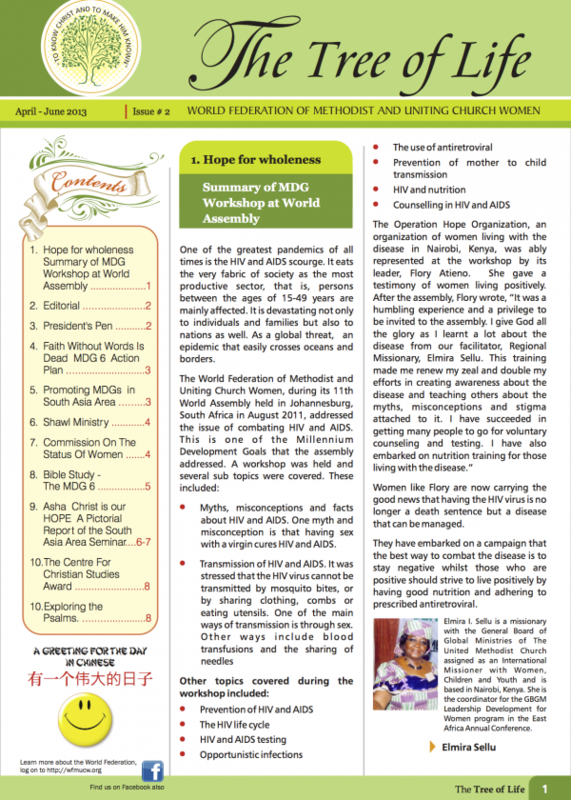 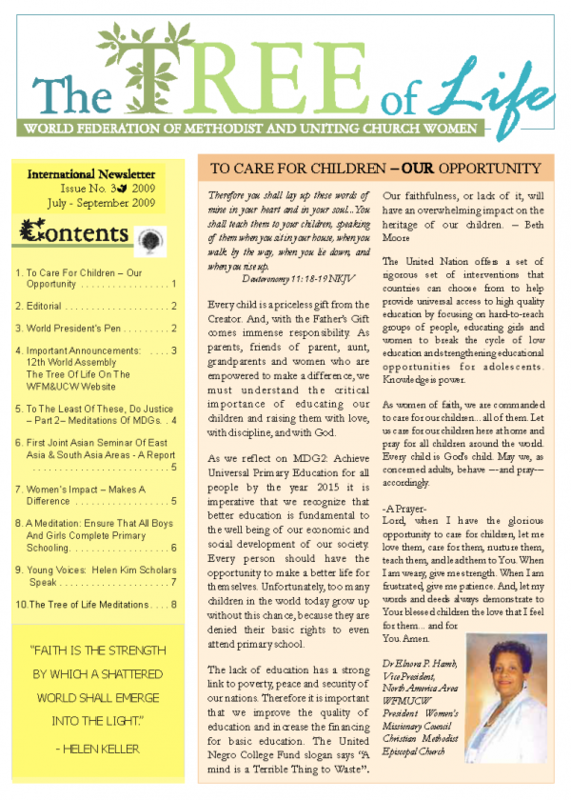 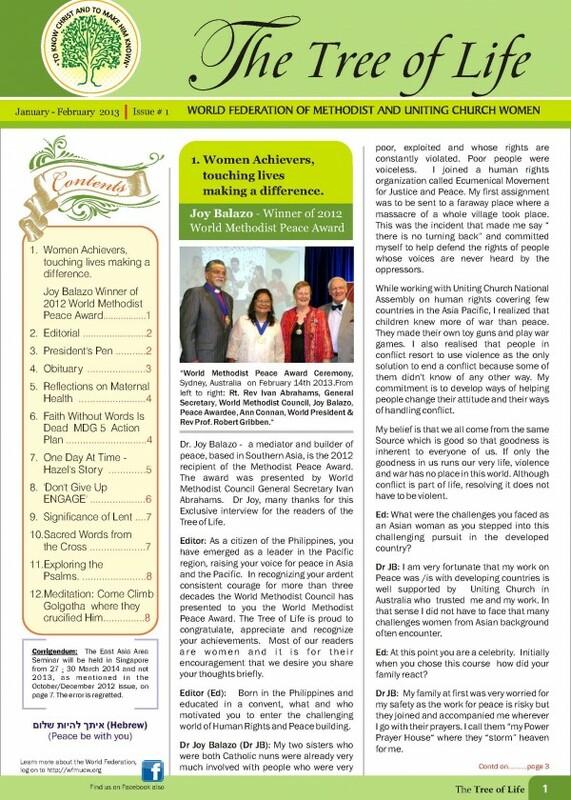 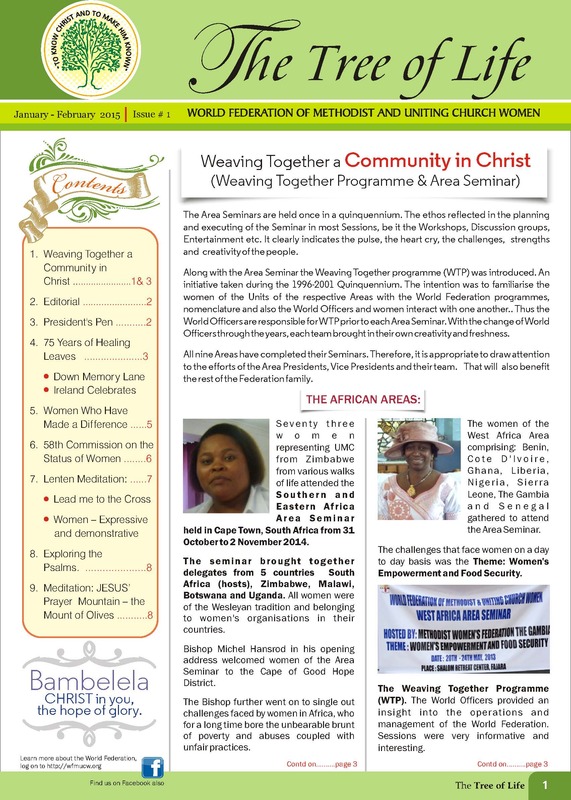 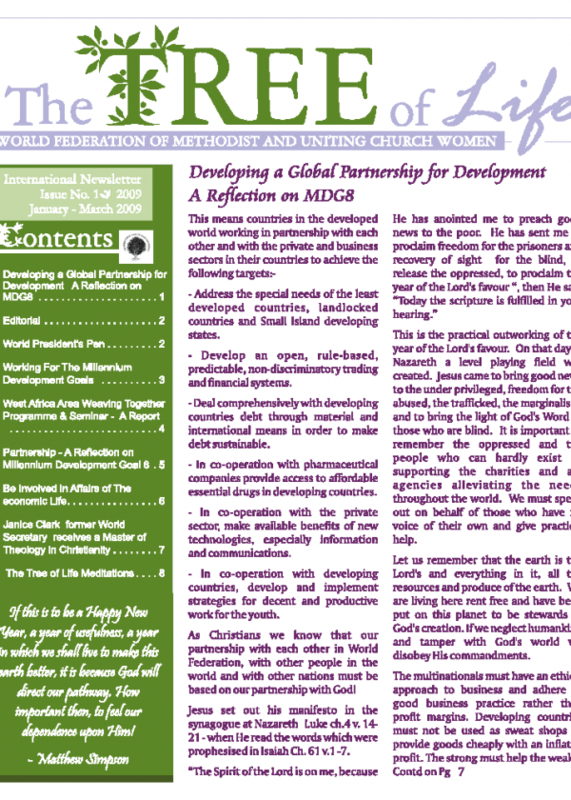 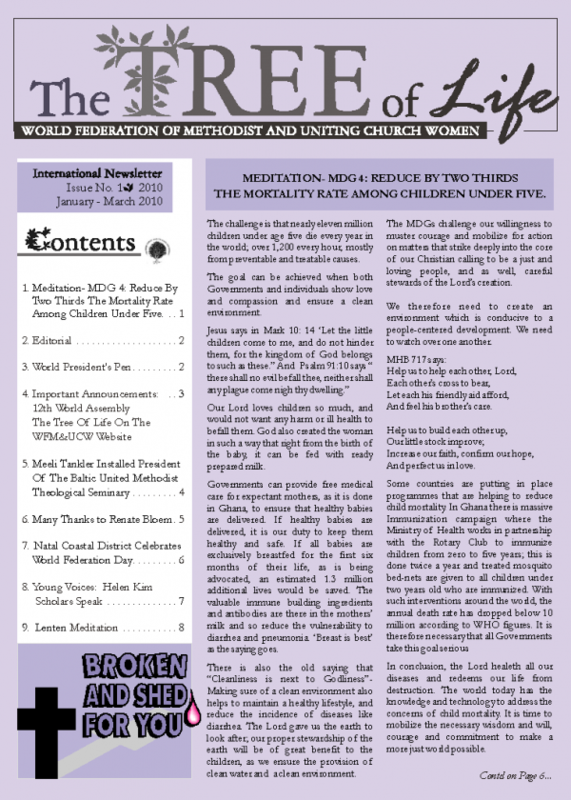 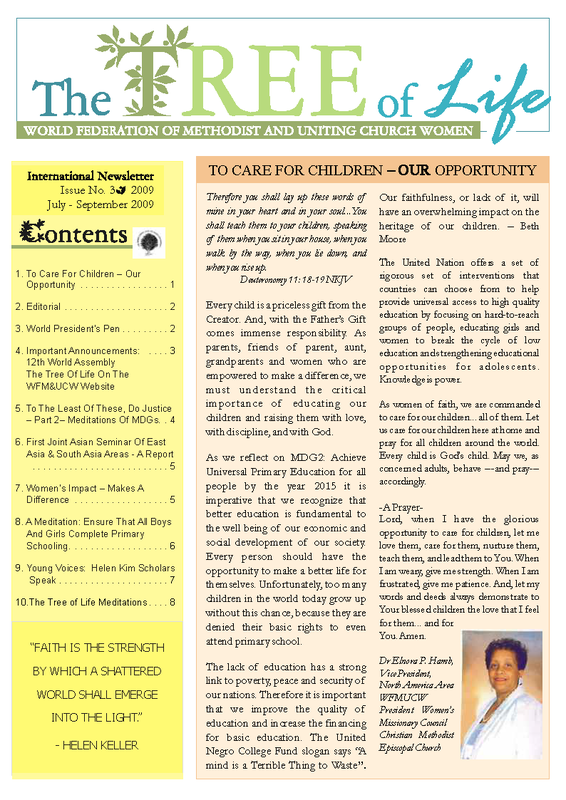 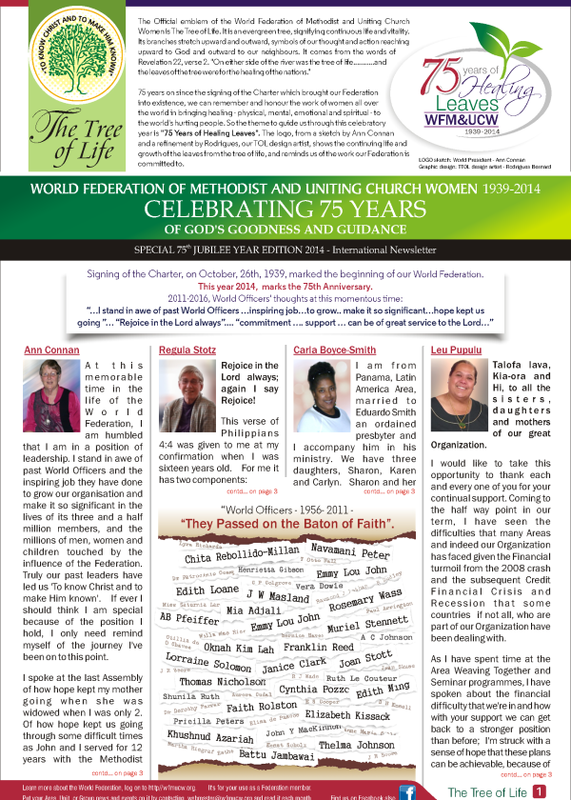 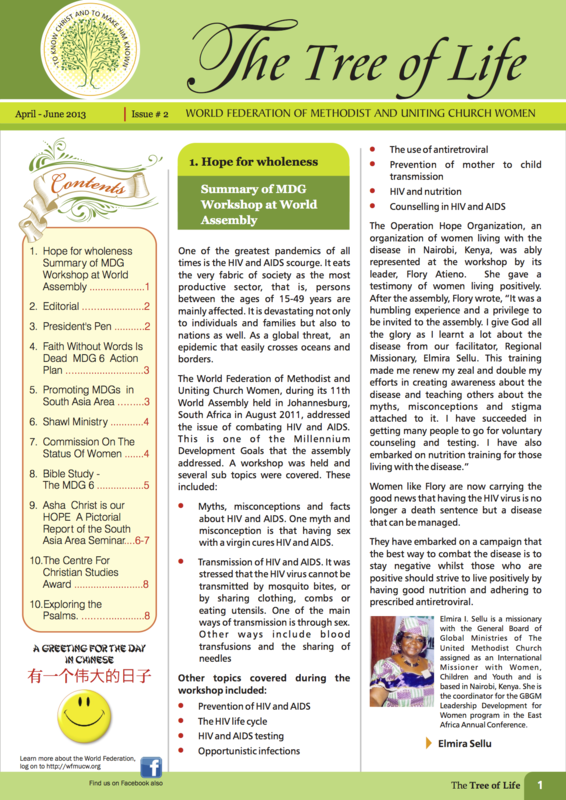 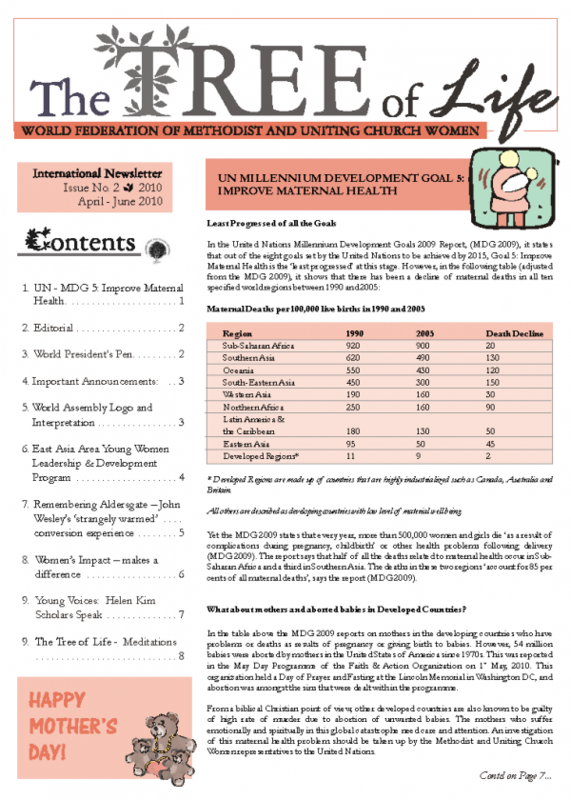 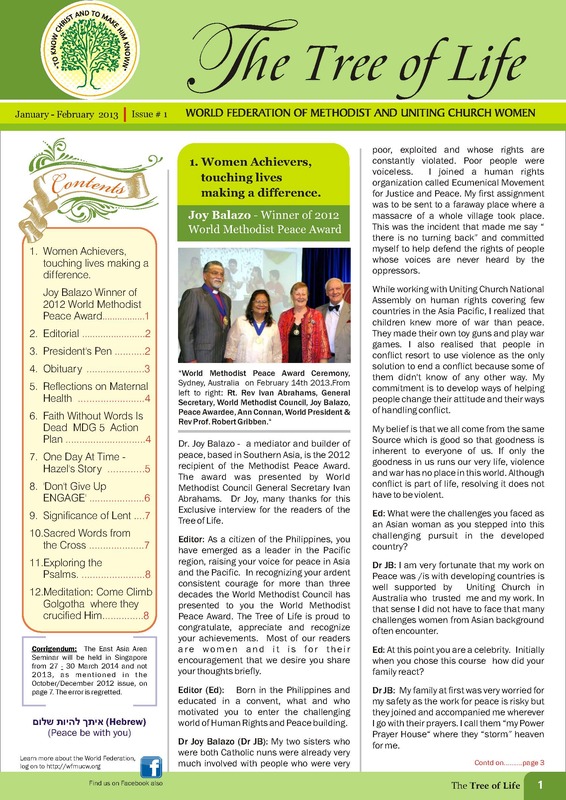 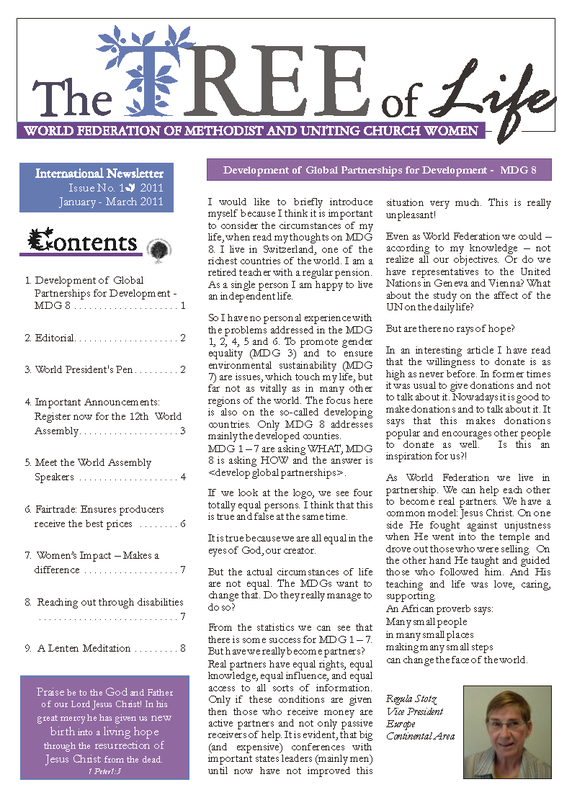 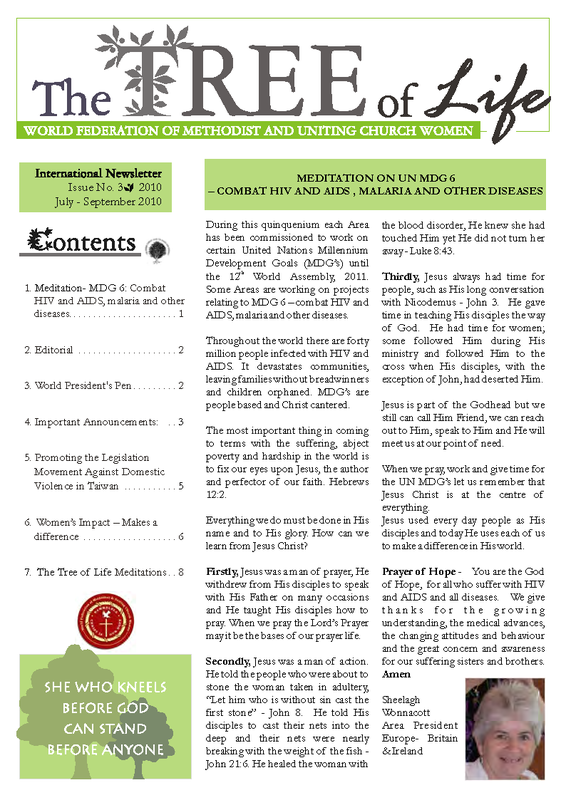 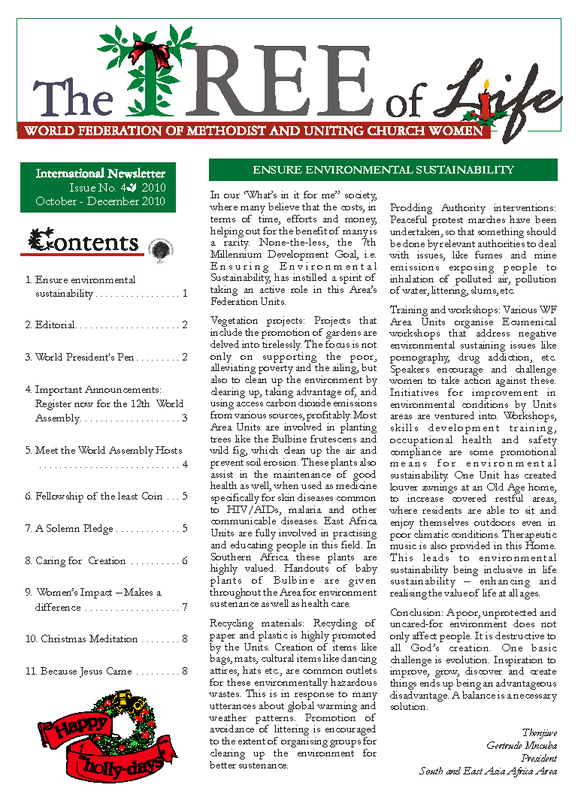 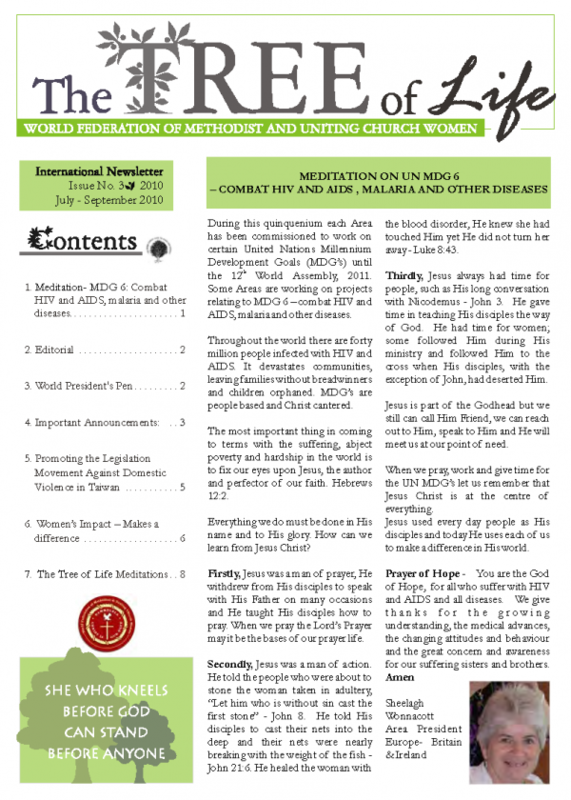 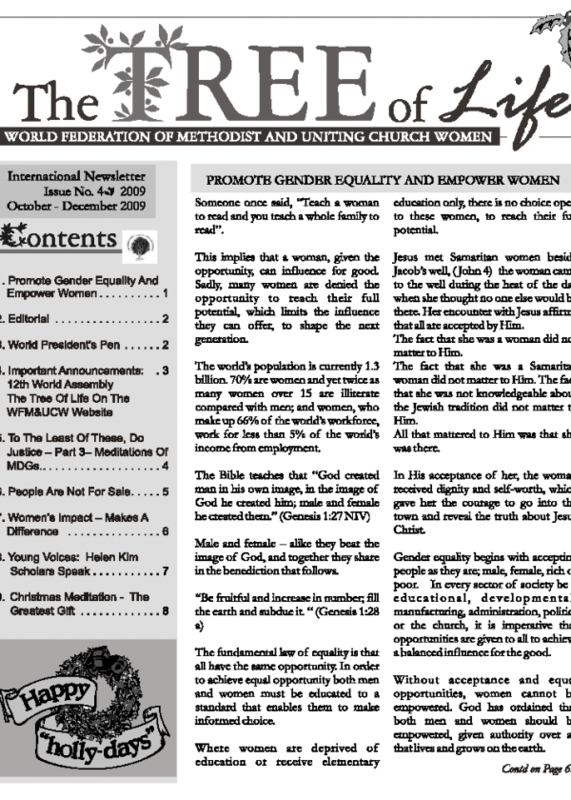 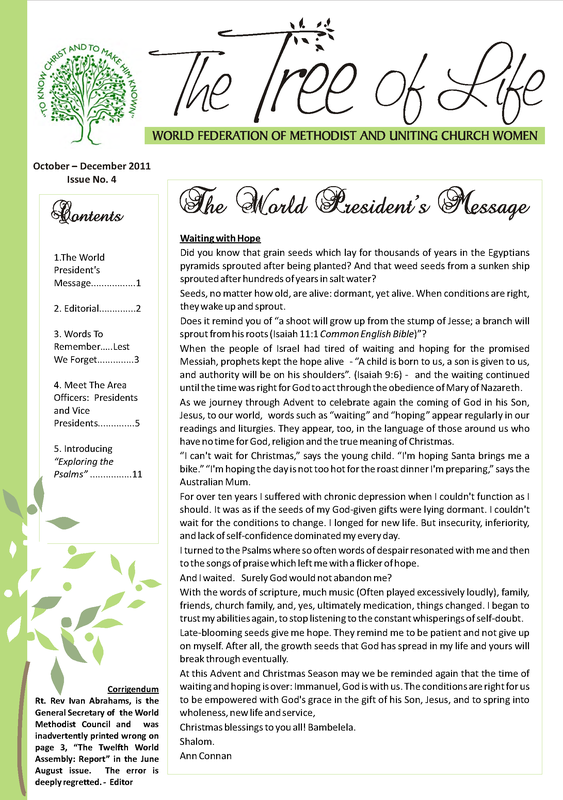 All Federation members are invited to submit stories to the Tree of Life Editor of what is happening in their fellowship groups, especially in relation to work done supporting the MDGs.